Fortnite took the gaming world by storm and today the game’s Floss Dance rivals Michael Jackson’s moonwalk in terms of popularity. 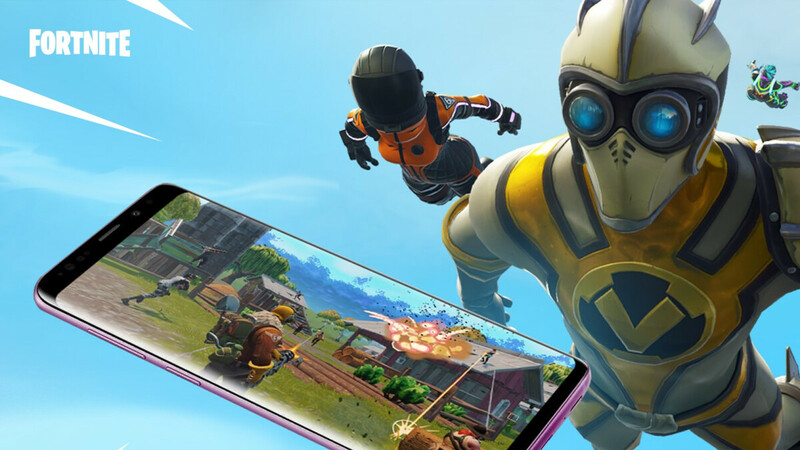 After its release for Android and iOS, Fortnite quickly topped the mobile gaming charts there as well, thanks to its cross-platform support that lets players using different gaming devices battle side by side. One problem smartphone users faced, however, was that the mobile versions of the game didn’t support external controllers, leaving players at a big disadvantage to their console and PC-using rivals. This changes today with the release of Fortnite’s patch 7.30. For Android users the choices for controllers are plentiful, pretty much all models that support a Bluetooth connection, such as those from your XBox One and PS4 consoles, will work with the game. If you have an iPhone, the selection is more limited, what you should be looking for is a MFi certified controller. Epic Games mention the SteelSeries Nimbus in the patch notes, so that’s one of the sure bets for a compatible controller. If you want to explore more controller options, check our selection of controllers for smartphones and tablets where you can find models for both operating systems and all price-ranges. Of course, besides the controller support, patch 7.30 fixes a bunch of small issues within the game and adds some new things to spice things up. For example, players have a new type of weapon at their disposal: Chiller Granade. Those within the blast radius of the grenade will slide uncontrollably for 7 seconds, becoming easy targets for their opponents. There’s also a new limited time mode: Solid gold. In this mode, every weapon drop will be Legendary and you’ll be able to gather materials quicker, making for more fast-paced and intense gameplay. And best of all, now you can enjoy the game without having to rely on lackluster touch-screen controls! You made article just about 60 FPS on iphones , but when Androids get 60FPS support you don't even mention it, what the hell. Hey, I'm good with controller support. I can use my Xbox One controller on my Razer Phone 2 now. No complaints from me. I can finally be l33t and wrekt some n00bs. Epic Games is on their knees servicing the popular Twitch/YouTube streamers, because they know that when they leave, it's over. Yet PUBG is plagued with hackers and no controller support. I hate Fortnight, the cartooney building to protect yourself and be annoying BUT GD Epic is taking care of it's playerbase.